Water provides benefits as a commodity for agriculture, industry, and households, and as a public good such as fisheries habitat, water quality and recreational use. To aid in cost-benefit analysis under conditions where market determined price signals are usually unavailable, economists have developed a range of alternative valuation methods for measuring economic benefits. This volume provides the most comprehensive exposition to-date of the application of economic valuation methods to proposed water resources investments and policies. It provides a conceptual framework for valuation of both commodity and public good uses of water, addressing non-market valuation techniques appropriate to measuring public benefits - including water quality improvement, recreation, and fish habitat enhancement. The book describes the various measurement methods, illustrates how they are applied in practice, and discusses their strengths, limitations, and appropriate roles. In this second edition, all chapters have been thoroughly updated, and in particular the coverage of water markets and valuation of ecosystem services from water has been expanded. 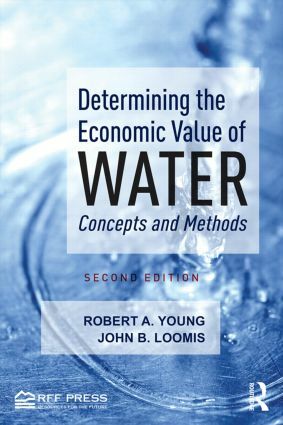 Robert Young, author of the 2005 edition, has been joined for this new edition by John Loomis, who brings additional expertise on ecosystem services and the environmental economics of water for recreational and other public good uses of water.